This is the time to start planning your fall outreaches for the Back to School Season. You might want to focus on ramping up your hospitality for the fall. You might want to focus on conversational evangelism training for your fall outreaches. EvangelismCoach would like to come to your church this July 2013 (if your church is around 90 minutes from Annapolis Maryland). You can host an evening workshop (90 minutes to 2 hours) at your church. I’ll even help you with “done for you” registration and email promotional materials. You are invited to open your workshop up to other churches in your region. Due to family reasons, I will be based on Kent Island, Maryland for the month of July and would like to offer your church an opportunity for a workshop. Your church must be within a 90 minute drive from Annapolis, Maryland. Workshops can be given in English or Spanish. 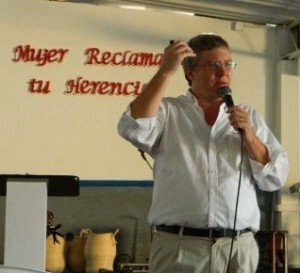 If you lead a Spanish language congregation, I’d really love to speak with you. What Topics Could be covered? Church Greeter Training to make sure your greeters don’t drive your visitors away. Equip your members to talk about their faith while serving in community outreaches. Personal evangelism training to take fear out of faith conversations. You can help set the agenda as we plan our workshop for you, but the above list gives you an idea. In this, I waive all fees and will accept a generous love offering to support our the ministry’s work throughout the Americas. I will provide a resource table where people can purchase additional materials. I’m doing some travelling already the other weeks, plus have Sunday engagements the whole month. It is my hope to schedule 3-4 workshops during this time in MD. What do others say about having a workshop? I enjoyed the class! So much to learn so little time! Thanks so much for sharing! In only a few hours you managed to describe a powerful, loving approach to personal evangelism. It doesn’t need much tweaking!